Who should take these courses? This Selling Early Adopters video was created following a joint Webinar with Dominic Rowsell, co-author of Why Killer Products Don't Sell. The original sound-track was unusable, so I captured the elements of that Webinar and added more meat into the following two-part, narrated whiteboard video. Early adopters of new technology are prepared to accept more risk when buying technology than the majority of buyers. Despite the success of SaaS as a concept and the wholesale adoption of cloud based applications, the vast majority of SaaS software fails to achieve commercial success because the innovation never makes it across the chasm from the early adopters into the early majority mainstream market. The consequent massive uptake of the SaaS innovation has eluded all but a small percentage of aspiring entrepreneurs. The following Flash videos are a 2 part series and run about 7 minutes. Part 1. The Four Buying Cultures and the Technology Adoption Life-Cycle. This video introduces the four buying cultures and how they map onto the Technology Adoption Life-cycle. 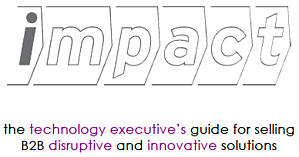 Will be of interest to sales and marketing professionals selling B2B technology solutions or professional services based engagements. This series offers insight into buyer behavior and the process of getting your challenging idea/solution through the buying process. 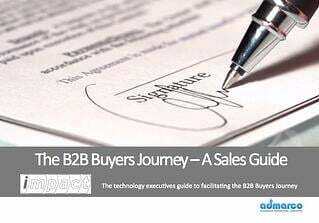 The B2B Buying Process; why you need to understand it and how to facilitate transitions with the buyer through the process. 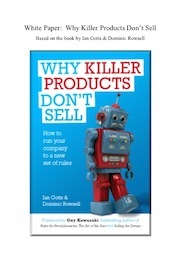 Get the new eBook update from the authors of "Why Killer Products don't Sell"
This new 20 page eBook is a primer for entrepreneurs, executives and investors in early stage technology companies. Salespeople are struggling to effectively engage buyers across the buying cycle from after they say hello. This eBook explores messaging alignment principles and uses a new content delivery platform to assist in the message capture and delivery process. An inbound lead is as cold as a mother-in-law's kiss after 1 hour. Responsiveness is the new competitive advantage in selling. Download the WittyParrot eBook to learn how. How clear is your message?